Daycare is important for dogs as they are social pack animals. 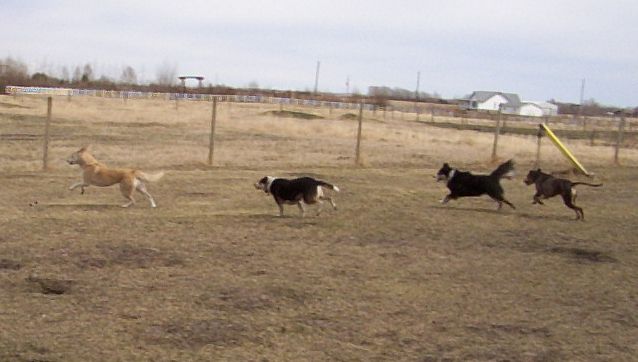 Dogs need to have time to run, play and to learn how to interact with one another. 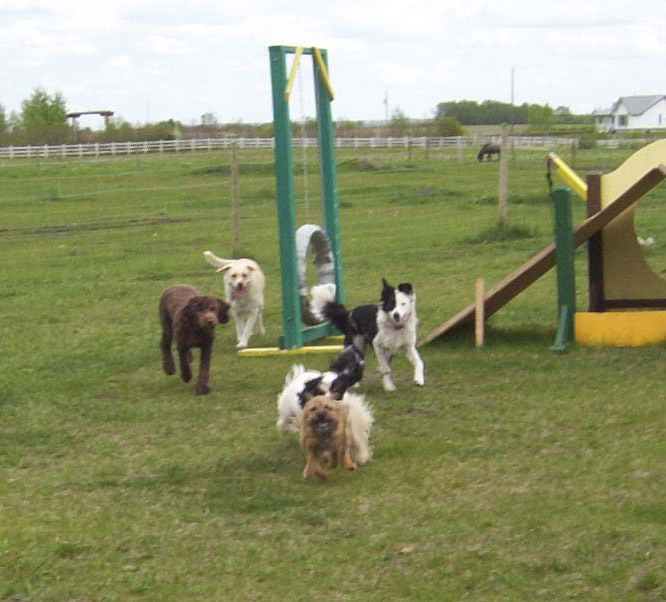 The Auburnmist Training Centre offers a fenced one acre off-leash park for the dogs to play in. Daycare is a great alternative for people who lead a busy lifestyle and want their canine companions to get the necessary exercise and socialization they need. If a dog has behaviour issues with other dogs, for an extra fee, the Auburnmist Training Centre will work with the dog, teaching it pack order and how to interact with other dogs. It is important for dogs to learn how to handle different situations and different social pack dynamics. If you would like to book your dog for daycare, or would like further information please contact Auburnmist at 403-938-6733 or by email.